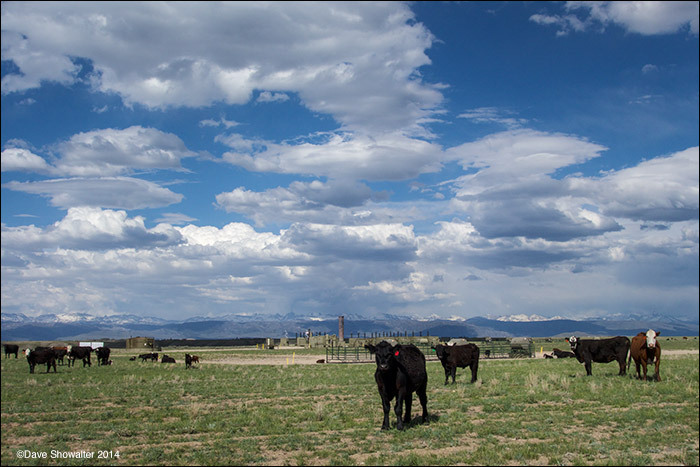 Cattle graze on a reclaimed drill pad in the Pinedale Anticline Natural Gas Field. Reclamation does not return the land to its natural condition - invasive grasses are often spread over the flatttened earth, with no sagebrush returned to the site. Of course it would be more expensive to do it right, but why call it recalaimed, then return cattle before grass has become established? Photo © copyright by Dave Showalter.